Talk to OMDI today if you need assistance with septic tank installation in Pontefract. At OMDI, we have been designing and installing bespoke septic tanks for our customers across Pontefract for many years and are confident we can deliver the excellence that you require. No matter what your reason for installing a septic tank on your premises is, we can help. There are many good reasons for buying and installing a septic tank. Some people buy septic tanks because they live in rural parts of Pontefract and West Yorkshire and are not connected to the main sewage system. Others obtain them because they want to improve their contribution to the environment. Whatever your reasons are, we can help. Septic tanks can remove your dependence on public sewers, enabling you to process and recycle wastewater in an eco-friendlier way. 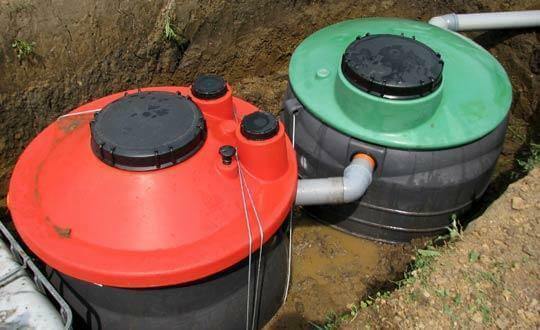 Septic tanks are stored underground. They are large tanks used to collect and treat wastewater from your home or business premises. Water, solids, oils, and greases are separated by natural biological processes. Water is sent to your drainage field after it is cleared. It is then treated by the soil’s bacteria and returned to the environment. If you’re not connected to the main sewage lines and don’t have a septic tank in place, effluence and wastewater can build up around your property and cause an environmental hazard, potentially becoming toxic. Another good reason for buying a septic tank is that is can help you do your bit for the environment and reduce the pressure on public sewage systems. The tank uses a natural filtration system to recycle water, with no reliance on chemicals. You can even cut costs by buying a septic tank, as it means you won’t need to pay out for a new pipe system. There’ll be no need to make regular payments to a sewage company, and maintenance requirements are generally modest. Your septic tank could even last for over 40 years. Talk to OMDI today if you need septic tank installations in Pontefract or West Yorkshire. We can provide you with a bespoke septic tank tailored directly towards your specific needs and can also provide regular servicing and maintenance to ensure your tank is performing at the best of its abilities. Our installations always comply with regulations, with our client network compromising of numerous business and residential customers. We are waiting to hear from you right now if you do need help with a septic tank installation in Pontefract and West Yorkshire. We have more than 20 years of history behind us and install more than 150 drainage systems each year. No work is ever outsourced to contractors, and you can rest assured that you’ll always be dealing with us directly. We can take care of your project from start to end, providing you with expert advice whenever it is needed. You can reach us today by giving us a call on 01977 800418 or by sending an email to enquiries@omdi.co.uk.